I am excited to assume the role of Chair, following the productive tenure of our dear friend and colleague Don Mackay. Throughout the next academic year, there are many initiatives on which the ASMS hopes to see accomplished. Our academic schedule will continue to be diverse and include the successful continuation of our basic course in maxillofacial techniques – the next to be hosted by Seth Thaller at the University of Miami. 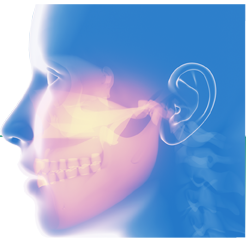 We will also continue to lay the groundwork for a new journal of maxillofacial surgery that will serve as a repository of some of the best abstracts our members have to offer. We look forward to welcoming our current member, residents, affiliates, and surgeons interested in maxillofacial surgery to our premiere meeting in San Diego, Plastic Surgery, the meeting September 20-23, 2019. The annual meeting will again highlight expert panels on timely topics such as facial aesthetic surgery, virtual surgical planning, cleft and craniofacial surgery, surgical education and more. Finally, we will continue to organize a schedule rotating our specialized pediatric course with the advanced maxillofacial course at Saint Louis University. To keep you up to date, our revamped website will continue to be a source of reference and information. I excitingly look forward to the upcoming year and the continued growth of our Society!